An overview of developmental Events, Processes and Abnormalities. 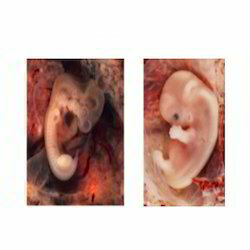 - The First and second week..
- The Embryonic Period- The Early Embryonic Period. - The Late Embryonic Period. Applied for: Psychosomatic disorders, Insomnia, schizophrenia, anxiety neurosis, psoriasis, hair-fall, dandruff, rejuvenation and detoxification. ROG™ offers a complete rock extraction and delivery service, committing Orica to deliver a reliable supply of rock, ready to feed the haulage stage, at a lower cost, while meeting all your safety and environmental requirements. It’s a high time when one should take care of the skin. It’s always better to take prevention at the right age. Due to hectic lifestyle minimal skin care procedures are needed to retain good health & texture of the skin. Hydronephrosis occurs when urine builds up in the kidneys and cannot drain out to the bladder. The kidneys swell from the excess urine. The condition may affect one kidney or both. Hydronephrosis is not a disease itself, but rather a sign of another disease or condition affecting the kidneys. Swelling of the kidneys can lead to kidney damage. Temporomandibular joint disorders: Migrains & certain aches could be due to teeth overload which can be corrected with dental procedures. Pranic Healing is an evolved system of energy healing, brought to light by Grandmaster Choa Kok Sui. It utilises 'Prana' or life-force energy to harmonise our bodily processes and help us maintain a state of good health. This requires no physical contact, and distance healing is possible as well. - We will prescribe medication to control infection and pain, you should continue as instructed. - If there is any allergy or any kind of problem with medication, stop that and contact us. We are engaged in offering Regular & Correspondence Programs and Services in the field of Alternative Medicines. - Post-Suffering or Post-Disease Condition.